Grass is growing, birds are singing, temperatures are rising, the sun sets later every night and outdoor cooking is getting into full swing. McCormick's is wanting to help one lucky Nibble Me This reader kick their grilling season into gear by giving away this sample package. This package includes the following new Grill Mates rubs, marinade mixes and Lawry's bottled marinades that I have utilized during the past week. Goes with beef, chicken, pork or shrimp. I used it to grill this flank steak. We thought it had very good flavor but I'd suggest adding 1 Tbsp of bourbon when mixing up the wet and dry ingredients if you're looking for that mellow bite of real bourbon. Great for chicken, pork, or beef. 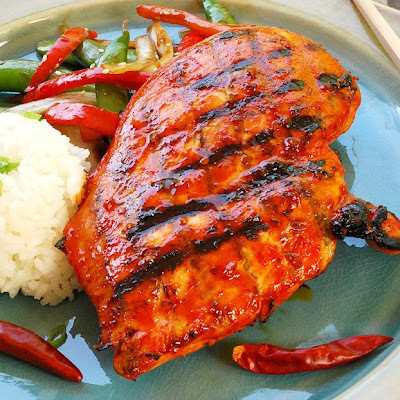 This marinade quickly brought flavor and that classic sweet and sour color to grilled chicken. 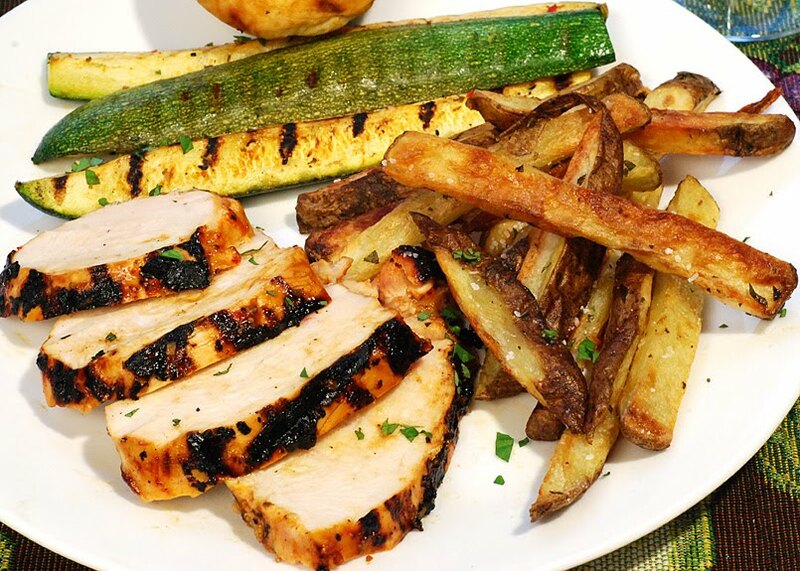 If you are tired of your normal grilled chicken, shake things up and use this marinade and serve with stir fried veggies and sweet jasmine rice. That's what we did. Apple and pork go together like.....well, like Pete Brady said on the Brady Bunch, "Pork chops and apple saaauuuuche". 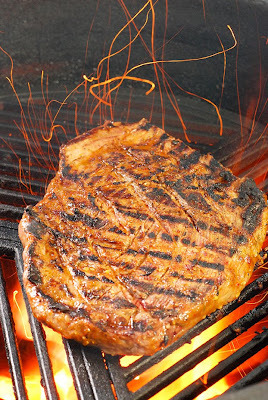 So I used this rub to grill some boneless pork chops and used one of our standard glazes. 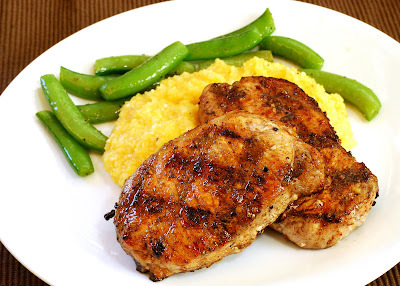 It produced a nice flavor that complimented the chops but didn't make them too strong. I used this rustic marinade on some fantastic grilled chicken breasts with some Tuscan fries and grilled zucchini. I think this one was Brett's favorite. 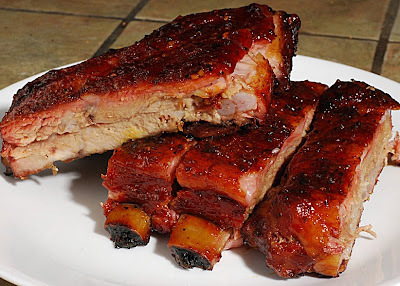 This smoky and sweet spice rub really delivered on a half rack of smoked spare ribs. 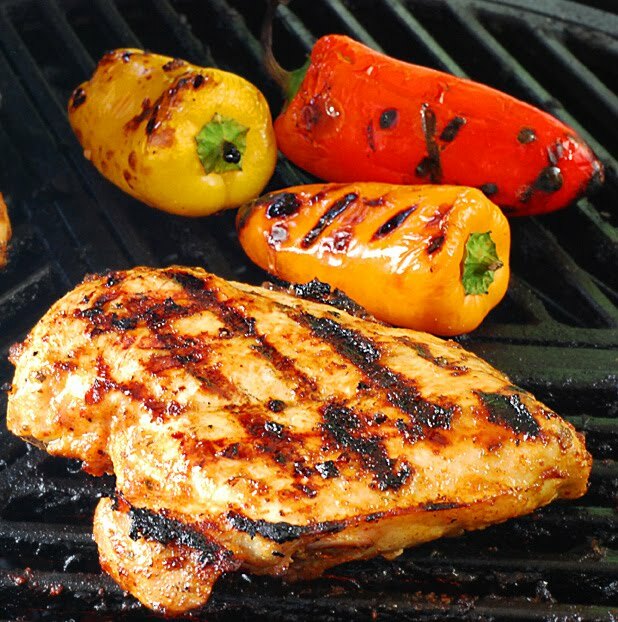 You could use this one for beef or chicken fajitas on the grill. I used it to make chimichangas with fajita chicken, beans, cheese, roasted peppers, and served with a southwestern queso sauce for dipping. 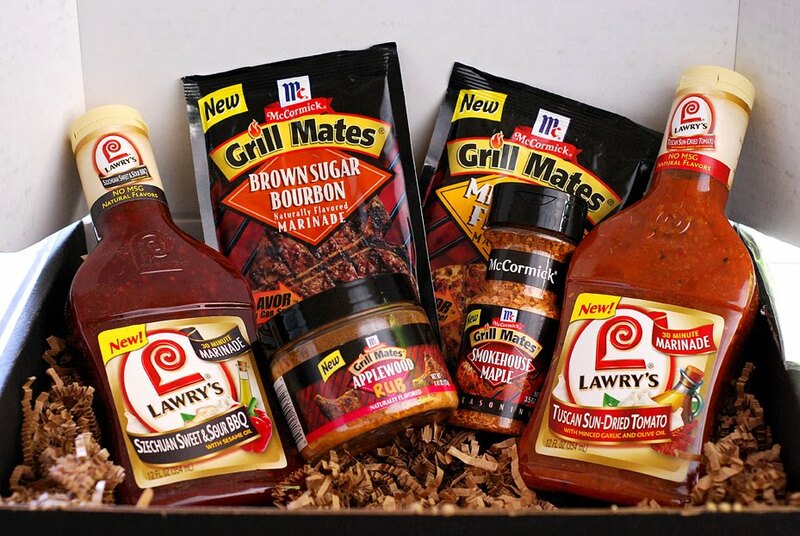 So how do you enter for the chance to win this Grill Mates ultimate care package? It's easy. Just click on THIS LINK to their recipe site. Then leave a comment in my comments section below tell me which recipe caught your eye. You can enter until 4pm Monday, 4/26/10. Monday night I'll do a random draw from all of the candidates. 1 - One entry per blog owner / forum handle. 2 - If you are entering via the anonymous option in my comments section, you must include your contact information so I can get in touch if you win. For example, if you're from the EggHead forum, you could just say, "Joeblow from the Egg Forum". 3 - Drawing will be random number generator based. 4 - McCormick's will ship the package directly to the winner. 5 - All results are final. Any complaints should written in Aramaic and filed with my pet chinchillas for processing. So dust off your grills and enter below. Oh Hell Why Not Spaghetti?